A beautiful pair of round, cubic zirconia stud earrings with a subtle 9ct white gold claw setting. A timeless gift with a touch of sparkle. 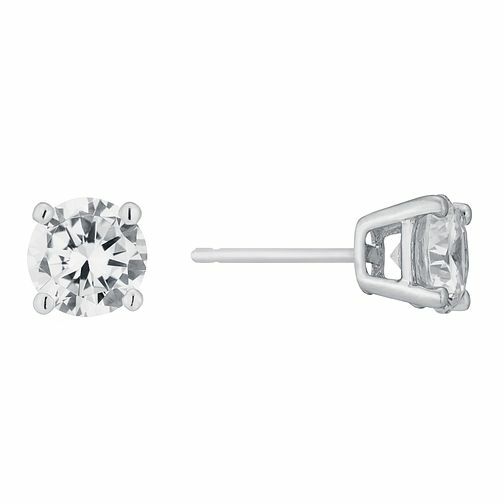 9ct white gold cubic zirconia stud earrings is rated 5.0 out of 5 by 2.